As most of us know, we go fishing for different reasons. Some anglers go fishing to catch some bass, others go in hopes of catching a musky. Bass anglers generally catch more bass than musky anglers do muskies. 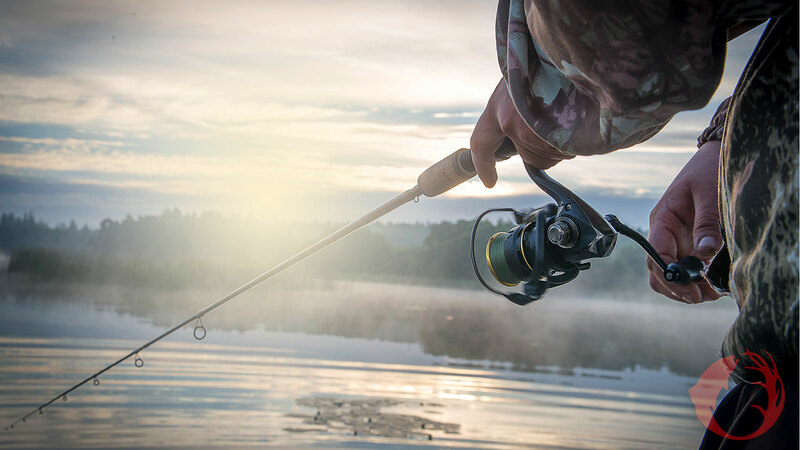 Some anglers like to be in the outdoors by themselves or with friends. And some anglers want to catch some fish for the table. We had an interesting situation on 1 of our recent episodes of Fishing the Midwest television regarding our style of fishing on that particular episode. Let me explain. We get a good amount of feedback on the various episodes of Fishing the Midwest, and we also get ideas/suggestions for topics that viewers would like us to cover. As mentioned earlier, some anglers, even many anglers, like to have a fish fry at their home, and not many fish are better for a fish fry than perch. We decided to do a segment for Fishing the Midwest television on what is perhaps the best way to catch a good number of perch in a short period of time. The first thing that we needed to do was select a lake, and that didn’t take much time. Big Stone Lake on the Minnesota-South Dakota border is about as good as it gets for perch: Lots of perch in a variety of sizes. Since we were limited on time, our next task was to determine what technique was the best way to catch as many perch as we could in a short period of time, just a couple of hours. We understand that perch are, in the overall scheme of things, a smaller fish. A 14-inch perch is a really nice perch, but it’s still a relatively small fish. All else being equal, we would have used a light action rod with 4-pound test line and a small jig. Everything wasn’t equal though. We wanted to catch a good number of perch in a short period of time, and they were spread out in the lake. There was a school here, another one over there, and another school a quarter of a mile away. When we found them, we caught them. Tanner Arndt with a Big Stone perch taken on a Lucky Shad crankbait. My partner that day was Tanner Arndt. Tanner is an outstanding angler and knows Big Stone well. Tanner suggested and I agreed that the best way to catch lots of perch in a short period of time was to pull crankbaits behind planer boards with lead core line. We knew and accepted that there wouldn’t be much of a fight from the perch, but we were good with that. We wanted to catch the main course of a fish fry. We pulled Lucky Shad crankbaits behind Off Shore planer boards, and we had 4 lines in the water. Much of the time we had fish on all 4 lines. The boards allowed us to effectively get multiple lines in the water. We also netted as many of the perch as possible. Treble hooks on flopping fish can find their way into hands, and we didn’t want that. The Beckman net that we used is constructed in a way that enabled us to control the fish, but also allowed us to get the bait back in the water quickly. So, although some may think that our technique was overkill, it allowed us to accomplish our goal. In a couple of hours we caught plenty of perch for a nice fish fry. If we had used what some feel was a more appropriate technique, we would not have been able to cover nearly as much water, and on this day, covering water was the key. So, as mentioned earlier, fishing is different things to different people. We keep very few fish when we go fishing, but when we want a few fish for consumption, we often go after perch, and we’ll use the technique that gives us the best chance for success. That’s fishing.